Friday, 3 May 2019, 8:00 PM. The Star Theatre, Singapore, Singapore Group or company? No, it's not a rumour! 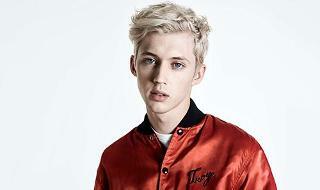 Troye Sivan is on tour and will be performing at The Star Theatre very soon! Haven't you got your Troye Sivan Singapore tickets yet? If you haven't got them, what are you waiting for? This event is expected to be a great success and tickets are selling like crazy! Don't miss the chance and buy your Troye Sivan Singapore tickets here and now! Get ready to scream and to sing along to the best tracks of the year! Join the crowd and see how your favourite artist take the stage. You won't regret it!